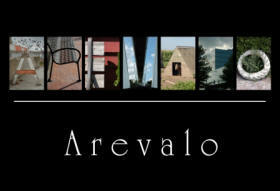 A single photo with your name spelled in Names Around Town alphabet photo letters with text. 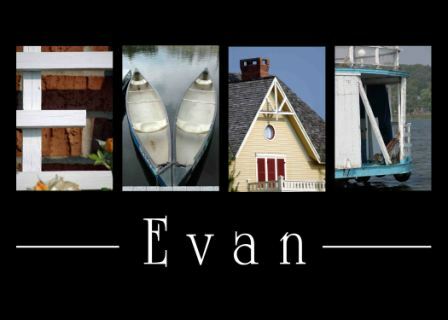 Custom single prints are also available double matted and framed. The finished size will vary depending on the size of the print needed for the name you choose. 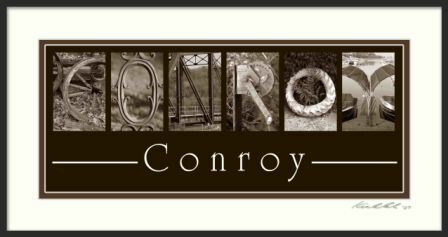 Names Around Town can create your custom single print in color, black and white or sepia. The dimensions of the framed and matted custom single print shown here is 9x17 and is available for $99.